DPE believes that new product design and development is a crucial factor in the success that we achieve as a company. At DPE, creative work is undertaken on a systematic basis in order to devise new products. In an industry that is changing fast, our Research and Development department endeavours to revise and improve our design and range of products on an ongoing basis. This is necessary in order to be at the forefront of our industry and to meet the changing preferences of our customers. Our product range is developed with the view of making the production and assembly processes as streamlined as possible whilst ensuring that our products are aesthetically pleasing and technically superior. All these factors contribute in creating an advantage in the market place. 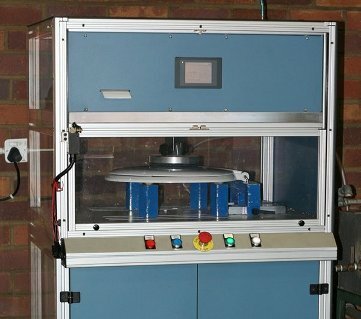 On a technical level, DPE has a fully equipped Tool room with the latest CAD/CAM facilities, as well as a team of highly skilled Toolmakers and Designers, who are involved in the product development process. 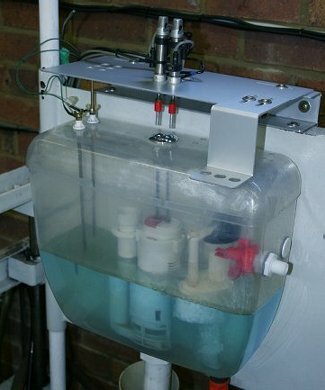 DPE has recently invested in Rapid Prototyping technology, which ensures that all new products or developments for both the Plumbing and Packaging Industry can be approved in 3 dimensional formats before investing large sums of money in tooling. DPE owns numerous patents, registered designs and copyrights on a range of plumbing and packaging related products. 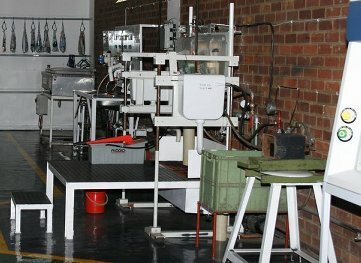 Continually review the adequacy, suitability and effectiveness of our policies, procedures, techniques, designs and equipment to ensure that we are able to produce products and services which are competitive, sustainable and in accordance with the customers' needs. Ensuring that there is a clear and documented understanding of customer and market requirements so that customer expectations are met, while complying with all the National and International standards, including "SA 8000- Social Accountability", Health, Safety, Labour, Fiscal and Environmental Standards. 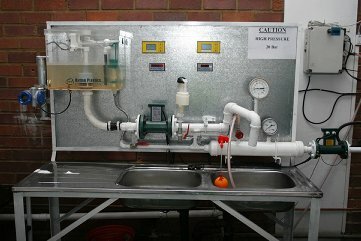 Flow rate test equipment to monitor inlet and outlet valve data according to SABS specifications. 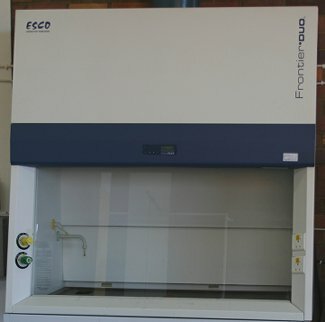 Airflow and containment testing Fume Hood. ISO 9001 quality certified manufacturing environment.